Will you be able to meet the challenge and become the most prestigious Mayor in history? 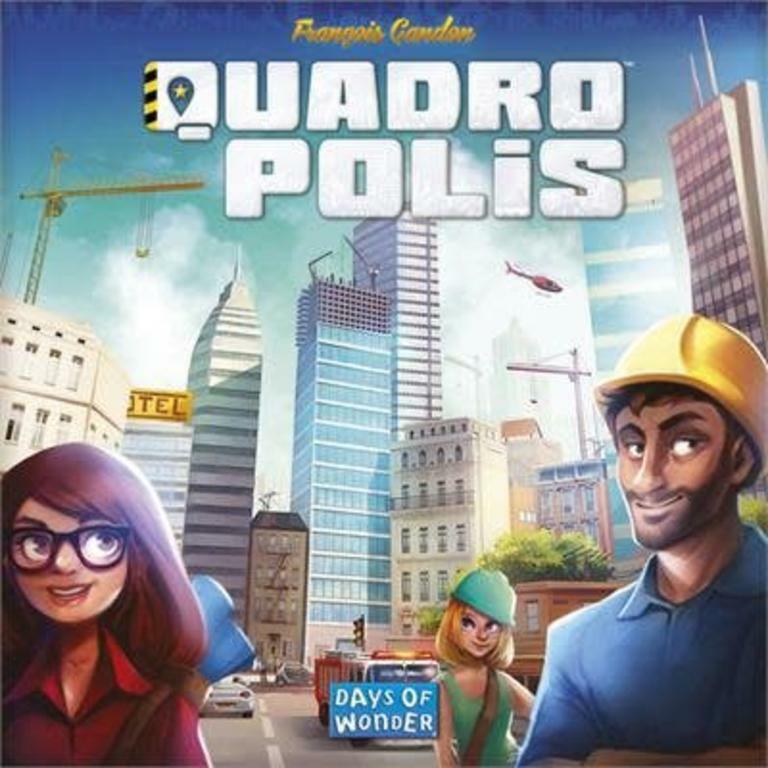 In Quadropolis™ you enact the role of the Mayor of a modern city. 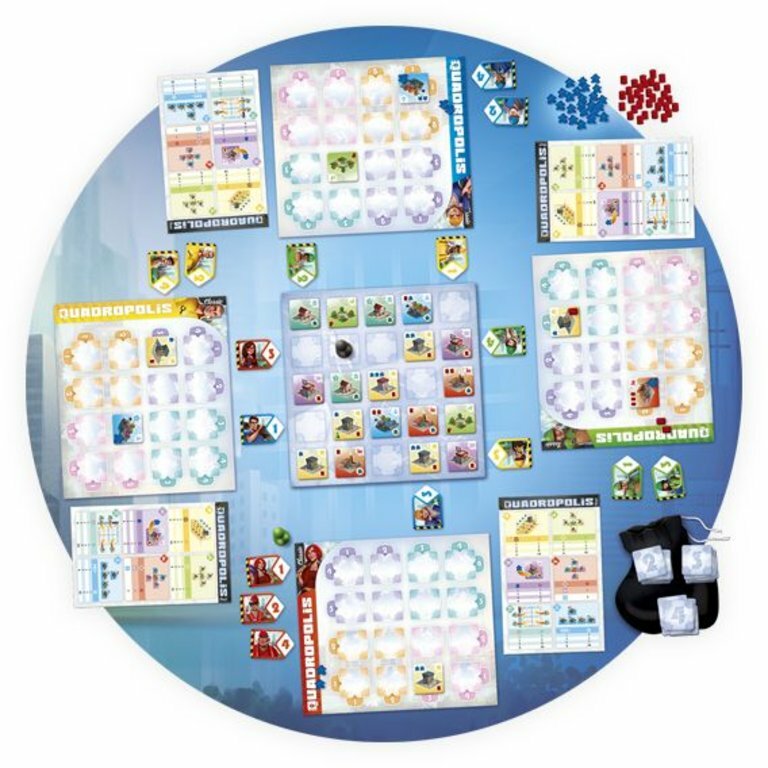 You will need to define a global strategy to build your city according to your Inhabitants’ needs and outmatch your opponents, sending your Architects to have various buildings erected in your city. Each building allows you to score victory points. There are various types of buildings with different scoring patterns; many of them may be combined for better effect. Your city is expanding and citizen needs have become more important. As a Mayor, you must provide them the Public Services that will make their daily life better. But don’t forget to support the booming industry of your great city!